It’s been almost exactly four years since I dropped by Marion, Ohio, to say hello to the original Warren G. President Harding died in 1923 as his administration had become, shall we say, shaky thanks to the Teapot Dome Scandal. Harding remained personally popular despite wrongdoing by members of his team, and he traveled west on a “Voyage of Understanding,” hoping to return to political normalcy. The voyage came to a screeching halt on August 2, when the president’s heart gave out in a California hotel room. Well, I went there, and I would recommend doing the same if you’re in central Ohio. 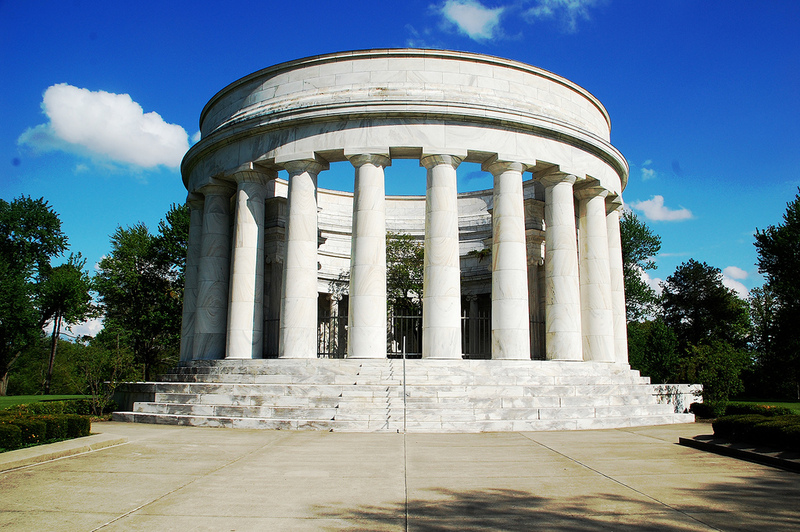 It may be a “lonely Ohio shrine” but it’s a lovely spot and worth a visit.